Apr 06, 2007 in "Gran Fiesta Tour Starring The Three Caballeros"
The new Gran Fiesta opened this morning at 11am with the rest of World Showcase. 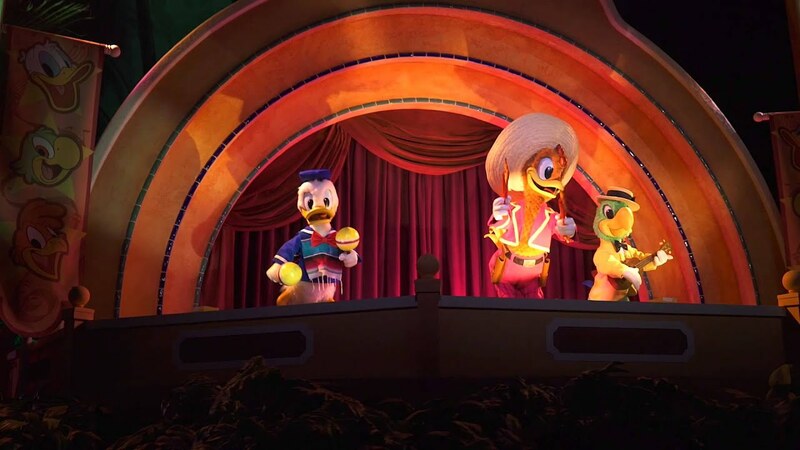 As expected, all of the previous video scenes have been replaced with new Three Caballeros scenes, and the entire musical score has been reworked. Most of the doll section remains as it was previously, with the addition of Donald. Besides the main changes, all of the props, scenes, and audio have been refurbished, and it all looks and sounds great.